Promotional beach thongs are a must have for summer! 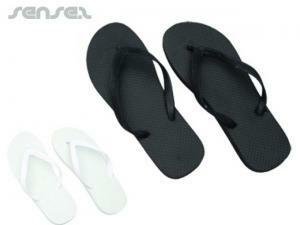 Nothing suitable in promotional travel beach thongs? 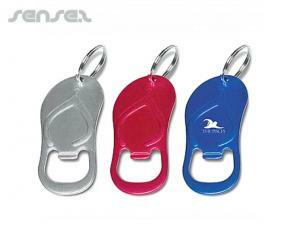 How about custom branded beach accessories, logo printed corporate beach balls or one of our promotional beach thong keyrings? Promotional beach thongs are a must have for summer! Promotional custom branded beach thongs are a great way to promote your brand and corporate logo in the hot Australian weather. 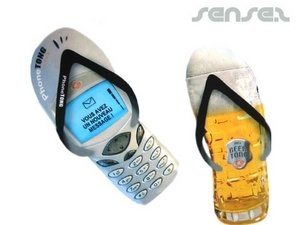 Use one of our many branded flip flops, recycled rubber thongs, or cheap logo printed beach thongs for your next summer event promotion! 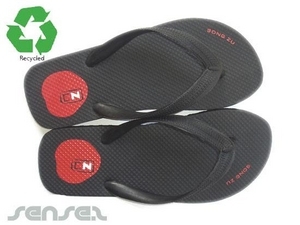 Our recycled rubber thongs, are a great sustainable and innovative promotional giveaway as they are made of recycled materials and are great for environmentally friendly promotions, such as abating climate change. 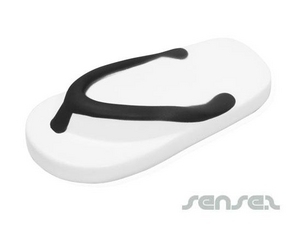 And they make a great Green Eco Marketing Promo item and eco friendly give away whether on the beach, the poolside or even cooling off in a shopping centre - we Aussies will wear our thongs anywhere and everywhere. 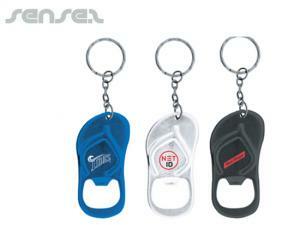 So what better way to create great brand awareness and constant brand exposure than on the sole of our feet? 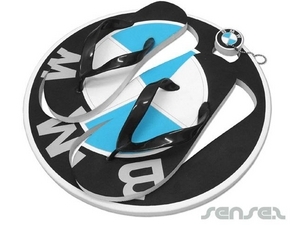 Our innovative customized rubber beach thongs are stylish and can be printed or even embossed with your custom logo and brand. 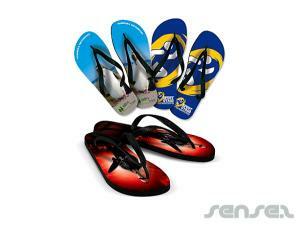 We also have Full Colour printed Promotional Beach Thongs available for a more innovative and novel effect. Our Hardened Rubber custom Logo printed Beach Thongs are great for small quantity orders and are available in many different colours and sizes. 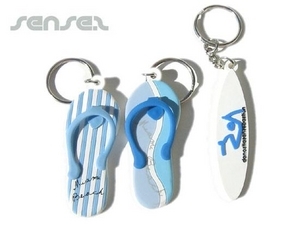 For direct mail outs, our Beach Thong Promotional Key rings are perfect for any Australian event. 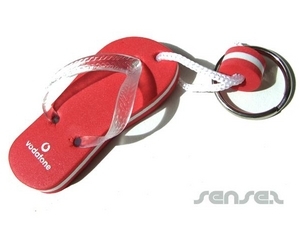 Corporate merchandise thongs are custom branded rubber beach thongs and are simply functional and efficient and will create the most effective corporate marketing tool for your innovative and promotional business. 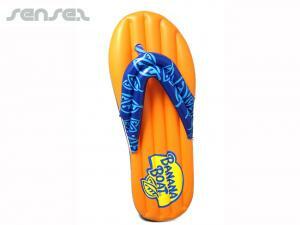 Custom printed beach thongs are ideal for the Australian market and weather. 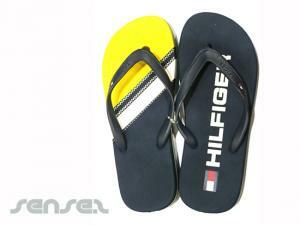 Branded thongs are perfect for beach and outdoor events. They are also great for any Australian related projects. You can't put a foot wrong with these Aussie icons! 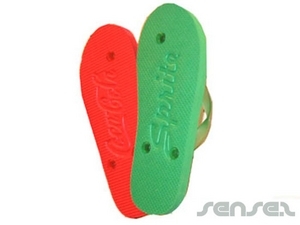 We also have more high end and more comfortable thongs than the regular rubber ones - try our Comfort Sole and Comfort Strap Thongs for a more premium take on an Aussie classic. Promotional Beach Thongs are great for promoting Australian tourism, traveling to sunny hot beach locations or any beach related events.